Cool post. I like seeing throw back uniform cards. That might just be a picture of the same swing in the Sports Illustrated cover. That SI is selling for up to $300 on ebay right now, by the way. Great card. Considered using it for my most recent post, but now that I've read yours... I'm glad I didn't. 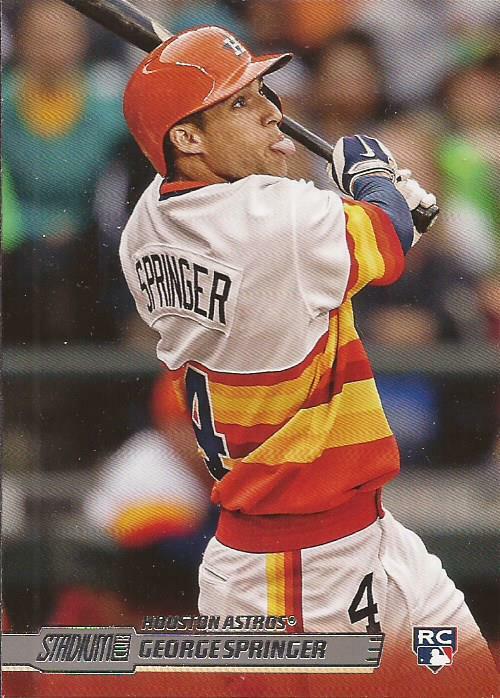 Love this card and perfect timing with the Astros taking the title. I was happy for them. If my team can't win it, it is fun to see a franchise get their first championship. Great looking card.